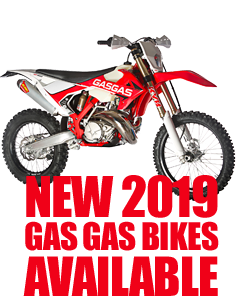 2019 Gas Gas EC Racing Enduro, EC200, EC250, EC300, Off-Road Bike/Motorcycle from Haines Motorcycles, Cinderford, Gloucestershire. FanticMotor Casa 250E 4-Stroke EFI available from Haines Motorcycles, Forest of Dean. Your number one destination for CCM, Gas Gas and Fantic sales and spares. 2019 Gas Gas EC Ranger Enduro EC200, EC300 Off-Road Motorcycle from Haines Motorcycles, Cinderford, Gloucestershire. Buy online CCM motorbike spare parts, ccm parts, ccm spares, accessories and upgrades for CCM 644 Suzuki engine, CCM 604 Rotax engine and CCM 404 Suzuki engine models. The New Fantic Caballero 125, 250, 500 Flat Track, Scrambler, Fantic motor available from Haines Motorcycles, Forest of Dean. Your number one destination for CCM, Gas Gas and Fantic sales and spares.